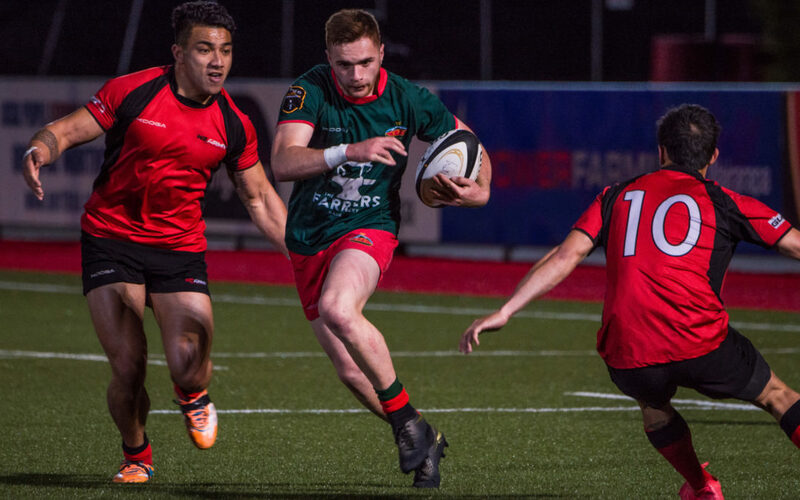 Wairarapa-Bush have suffered a major blow ahead of their Heartland Championship campaign with captain Cyrus Baker possibly set to miss the entire season. Baker suffered an Achilles injury in the first 10 minutes of Tuesday’s 38-43 loss to the New Zealand Army at Memorial Park, and coach Joe Harwood said it wasn’t looking good. “I’m absolutely gutted to lose Cyrus – he is possibly out for the season, which will be devastating. Prop Sam Gammie – who was a standout performer in his first match in the position at that level – also left the field with a leg injury in the second half, and is expected to miss at least a couple of weeks. Vice-captain Kirk Tufuga will step into the captaincy role in Baker’s absence. “Kirk was our vice-captain, and he was exceptional [on Tuesday night], Harwood said. Wairarapa-Bush hit the ground running in Tuesday’s match, racing to a 21-0 lead in the first 30 minutes. First five-eighth Tipena Haira was driving the team around the park and produced a perfect no-look pass to put winger Nicholas Olson in for their third try. The army hit back just before halftime to close the gap to 21-5 and that was a sign of what was to come in the second half. Two quick tries cut Wairarapa-Bush’s lead to 21-19 after the break, and a successful penalty gave the army their first lead of the match. Both teams then traded blows over the final quarter but it was the army who pulled out to a 43-33 lead with five minutes remaining. Wairarapa-Bush replacement Soli Malatai scored a late try to give his team a chance of stealing it at the end, but the army held firm to secure an entertaining win. Harwood said the army’s superior fitness levels had made a difference after halftime. “Our shape was really good in the first half and so was the ability to recycle quick ball – we stuck to the game plan and patterns really well, and dominated proceedings in that first half. “I think we definitely saw the level of fitness with the army boys, they showed us some gaps we need to work on and that’s the level our guys need to get to. Haira and fullback Sean Law produced some classy moments in the Wairarapa-Bush backline, while Inia Katia added a spark when he came on at halfback in the second half. The Tufuga brothers – No 8 Kirk and prop Max – were prominent in the forward pack, while lock James Goodger carried strongly and showed his aerial skills. Wairarapa-Bush won’t have long to fix the things that went wrong on Tuesday, as they will take on perennial title favourites Wanganui in another pre-season clash this Saturday in Masterton [2.30pm]. Wanganui have won the past three Heartland Championships.